There are currently 14 Small to Medium Enterprises engaging in the Coconut Industry in P.N.G, with the aid of Kokonas Indastri Koporesen. Below is their contact information. 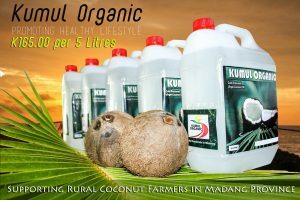 Kumul Organic is a local Land Owner Business based in Madang Province specializing in VCO production and marketing. Kumul Organic was initially established in 2014 in Mendi, Southern Highlands Province based on customer demand. The operation has since moved to Madang Province taking into consideration the high cost of transporting coconut up to Mendi. Kumul Organics produces VCO (utilizing the fermentation method) which are packaged and marketed as VCO for conventional consumption (direct or cooking) and VCO infused with essential oils for Therapeutic and external or topical use. 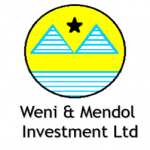 • Weni & Mendol is based in Wewak, East Sepik Province. • The products that they produce include copra, copra meal, virgin coconut oil, soap bars and desiccated coconut. • The coconut used for production are purchased from local farmer groups around Wewak. • Products produced are supplied mainly to supermarkets and hotels within Wewak town and also distributed to Lae. 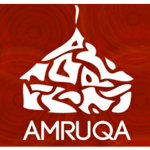 • Amruqa is a small family venture based on the Vunakanau Estate in the Gazelle District of East New Britain Province. 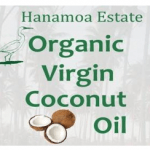 • The main products produced at the Vunakanau Estate production facilities are virgin coconut oils, essential oils and spices in which raw materials are grown traditionally on site the natural way. • The products are marketed both domestically and internationally. • Rabaul VCO Ltd is a family business venture which is based in Rabaul District of the East New Britain Province. • RVCO Ltd basically produces and packages Virgin Coconut Oil which is intended for consumption as food and food dressing and also for topical use. • Apart from the day to day production of VCO, RVCO Ltd also organises site tours for interested tourist. • RVCO Ltd mainly supplies supermarkets within the province and on an occasional basis sells to tourists during site visits. • Coconut used for production are sourced from the surrounding small holder farms in which it creates a cash generating avenue for the locals. • Foundation of women in agriculture Development is an NGO organization based in Maprik District in East Sepik Province. • It consists of six cooperatives which are involved in Coconut downstream processing. 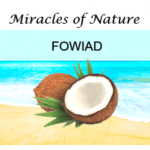 FOWIAD produces high value coconut products such as VCO, coconut soap bars, body lotions, stock feed, and coconut shell charcoal. • They supply to local markets and the surrounding communities. • FOWIAD purchases coconuts from local farmers in the vicinity of the plantations. • Tropic Frond Oils was established in 1994 in the beautiful harbour-side of Rabaul in the East New Britain Province. • Since the twin volcanic eruption in 1994 (9 months after establishment) Tropic Frond Oils has since relocated its operations near the small township of Kerevat in the Gazelle District. • With the successful accreditation of Organic certification from the Organic Food Chain Australia a new brand name “Niugini Organics” was developed in 2008. 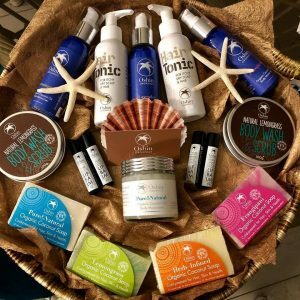 • Tropic Frond Oils is now producing a range of products under the new brand name from Virgin Coconut Oil, soap bars, and skin and cosmetic products apart from the traditional coconut hair and skin moisturizer oils. • The Niugini Organic brand products are marketed locally (PNG) as well in Australia, New Zealand and the European markets. Coconut shell jewellery; necklaces, earrings, arm bracelets, candle stands, etc. 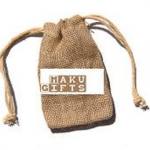 • Maku Gifts is based in Kokopo, East new Britain Province. • It is owned by a private entrepreneur who produces jewellery and other handicraft out of coconut shells. • The Maku Gifts gift shop is located at the Gazelle International Hotel and most of the products are sold to hotel guests and tourists. 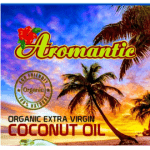 • Aroma Coconut Products Cooperative Society Ltd is located in Aroma, Central Province. • The products they produce are virgin coconut oil, body lotions and soaps. • The SME has a good supply of coconut from the owner’s coconut block as well purchases coconuts from local farmers in the vicinity. • Hanamoa Estate is located in the Abau District of Central Province. • The SME produces virgin coconut oil and fragranced soap bars and liquid soaps. • The SME has a good supply of coconut from the estate as well purchases coconuts from local farmers in the vicinity. • Hanamoa products can be found in some Super markets in Port Moresby. • Aikane Limited is based at Rubio Plantation in Namatanai, New Ireland Province, Papua New Guinea. • Aikane Limited has been producing cold pressed VCO and chocolate coated with coconut. • They supply to local markets in Kavieng, Port Moresby and tourists. • Aikane uses coconut and cocoa from its plantations and also buys from the local farmers in the vicinity of the plantation. • Manus Herbal Products Ltd is located in Lorengau, Manus Province. • They produce soap, body oils and lotions from organic virgin coconut oil infused with noni, moringa and other herbal plants. They sell their products to the local communities and other domestic markets within PNG. 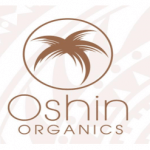 • Formerly branded as Maxtone Haus, the rebranding into Oshin Organics eventuated in 2017. • Maxtone Haus Ltd as was formerly known had its operations located in Port Moresby, National Capital District, Papua New Guinea. • In 2017 the operations were moved to Kimbe as a strategic relocation in terms of maintaining a consistent supply of raw materials for processing. 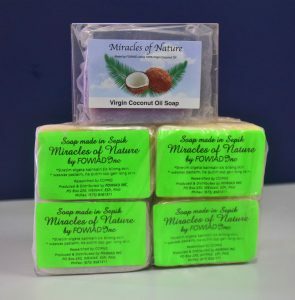 • It produces and packages a range of beauty products from coconut body oils infused, repellents, fragranced soaps, virgin coconut oil and cooking oil. • The Bebeskiara VCO Producer Group is a local producer group located in the beautiful Uruowa, Loloho area in Central Bougainville District. • The producer group was formed in 2014 and involved individual VCO producers whom produce VCO which are packaged and marketed by the Bebeskiara Producer Group. • The product is marketed under the synonymous “Loloha VCO” brand name. 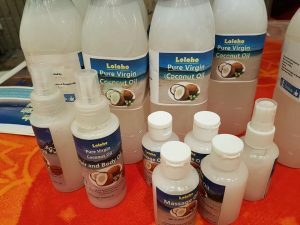 • The group currently processes and markets Loloho VCO but are also looking at the possibility of including coconut oil soap, coconut shell jewelleries and accessories and coconut furniture’s as a wide range of their products in future. 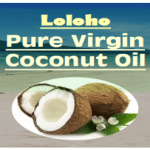 • The Loloho VCO is currently being marketed to residents and local restaurants owners in the Arawa township and also supplied to a dealer in Port Moresby.